Grand Plans for NEPV Audio Launch! Actress Sridevi returns with ‘Aangilam Vaangilam’! The trailer launch of English Vinglish took place at the PVR Cinemas in Chennai recently. Speaking at this event, the film's leading lady Sri Devi said that she is eager to share the screen space again with Rajinikanth and Kamal Haasan. Sri Devi had paired up with both Rajini and Kamal during her heydays in Kollywood as heroine and gave several blockbusters. Fans would love to see them paring up again and Sri Devi has indicated that she is ready if such an offer came up. On following the footsteps of her contemporaries like Hema Malini and Jaya Bachchan and entering politics, Sri Devi said that she is not interested in it but would rather concentrate in her acting career. Jiva's Mugamoodi hit the screens yesterday and is gaining good response from the public. The actor is now ready for his next project, Endrendrum Punnagai. The film is all set to go on floors on September 15th in Chennai. A huge office set will be erected in a suitable place in the city and Jiiva, Trisha, Santhanam and Vinai Rai will be present for the 10 day schedule. The film will be helmed by Ahmed of Vaamanan fame and will have Madhi's cinematography. Harris Jayaraj will score music for the film. The audio launch of the Gautham Menon directed Neethaane En Ponvasantham is scheduled to take place today at the Nehru Indoor Stadium. What is so special about this audio launch is the symphony orchestra by maestro Ilayaraja. 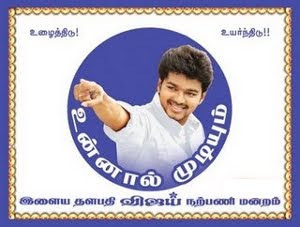 All the eight songs from the NEPV album will be played at the venue apart from select Ilayaraja specials. It is certainly going to be a treat for all the music and movie buffs! A trailer of the film and the making of the songs video will also been screened at the venue. NEPV is a love story that stars Jiiva and Samantha as the lead pair. 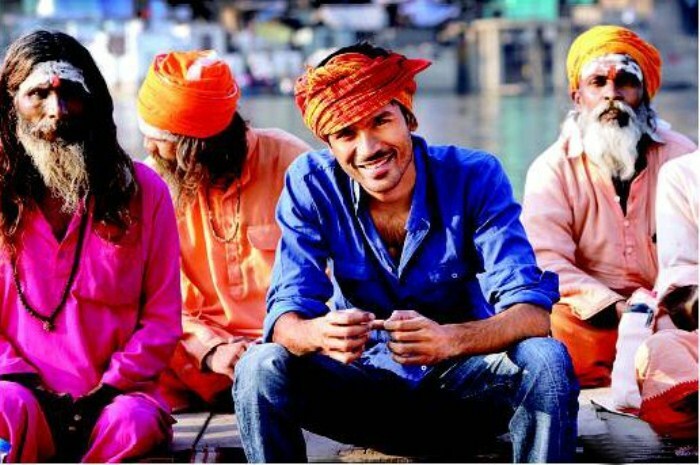 Dhanush has flown down to Benares where he will be stationed for the next 40 days. Director Anand Rai has scheduled the shooting of Raanjhana in this location and Dhanush, being the hero of this flick, will be joining the rest of the team. 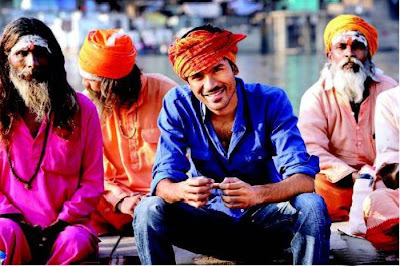 Interestingly, Dhanush will be making his Bollywood debut with Raanjhana and expectations are high as he is a National Award winning actor! Produced by Eros International, Raanjhana stars Sonam Kapoor as the female lead. Abhay Deol will be appearing in a guest role. Raanjhana is one of the high budget films made this year. Oscar winner AR Rahman is composing the tunes for this film which is another highlight. Kajal Aggarwal, the girl who had claimed that she would not sport bikini nor ready to share lip-lock, has soften her stand on those issues. Well, hot and happening actress of South is now open for it. Reports say that Kajal Aggarwal has said that wearing a bikini or sharing a kissing scene depends upon the script. If the role offered to her demands it, she would not hesitate to sport a bikini. However, she cautiously says that there is a fine line between being glamour and vulgar and the actress would never cross it. Kajal Aggarwal, who has returned from Geneva recently after filming a song with Vijay for their upcoming movie Thuppakki, has as many as eight movies in her kitty. Surya's much-hyped Maattrraan is her next release in Tamil followed by All in All Azhagu Raja and Yaan. Her Telugu projects are: Naayak, Baadshah, Sukumar's Untitled Project, Sir Vachaaru, and Yevadu. Sridevi, the heartthrob of millions who gave up acting for home and hearth, now returns to the big screen after 14 years with English Vinglish. The film is a tri lingual and is being released in Tamil as Aangilam Vaangilam. The stunning Sridevi charmed the media at the meet which showcased the trailer. Speaking in Tamil she answered all questions leisurely and with a smile. 'It feels like I just took a 2 day leave from acting and not like such a gap at all! My kids were small that's why I took a break from acting. This film was not planned. But when I heard Gauri Shinde's script I fell in love with it and the film just happened. This is the first time I am working with a lady director and it was great,' she disclosed. So would she do a Tamil film? 'Yes if course if the script is suitable for I am a Tamil ponnu,' she said. She described Thala Ajit as a simple and down to earth actor who immediately said ok to doing a small appearance in the film. About watching Tamil movies and TV she said that Robot was one film she enjoyed while she loved watching Tamil comedy channels before sleeping each night.